The second week of March (March 6-13, 2018 at Port Blair) will witness Andaman & Nicobar Command hosting a multinational naval exercise - MILAN 2018. MILAN is a congregation of littoral navies conducted biennially by Indian Navy at the Andaman and Nicobar Islands, under the aegis of the Andaman and Nicobar Command. MILAN made modest beginnings more than two decades ago when it was first held in 1995. The first edition saw the participation of four littoral navies. From an event of sub-regional context, MILAN has now grown into a prestigious international event and encompasses participation by maritime forces from not just the Bay of Bengal and South East Asia but the larger Indian Ocean Region (IOR). “Besides fostering co-operation through naval exercises and professional interactions, MILAN also provides an excellent opportunity to the participating navies to come together in a spirit of collaboration and mutual understanding to nurture stronger ties,” the Navy said in a statement on Sunday. The theme of this year’s MILAN International Maritime Seminar is ‘In Pursuit of Maritime Good Order - Need for Comprehensive Information Sharing Apparatus’ is being organized. 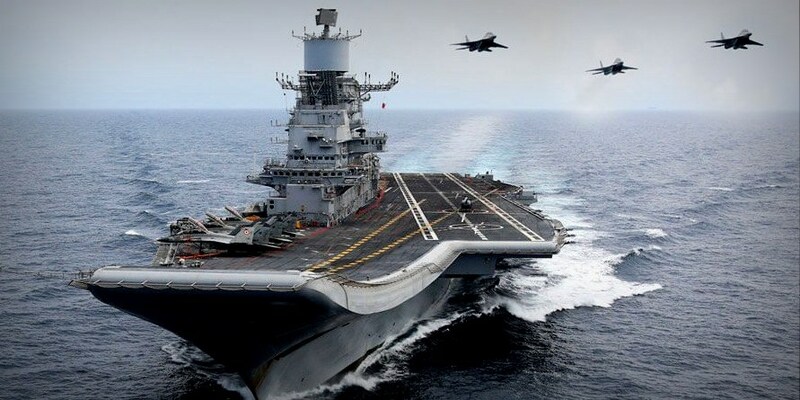 The inaugural address will be delivered by Admiral Sunil Lanba, PVSM, AVSM, ADC, Chairman Chiefs of Staff Committee (COSC) and Chief of the Naval Staff (CNS), besides presentations by eminent speakers. He said the countries which are participating in the exercise include Australia, Malaysia, Maldives, Mauritius, Myanmar, New Zealand, Oman, Vietnam, Thailand, Tanzania, Sri Lanka, Singapore, Bangladesh, Indonesia, Kenya, and Cambodia. An International City Parade will be held along the Marina Park Road, with marching contingents from all participating foreign naval ships as well as the Indian Armed Forces. The parade will include a flypast and aerobatic display by military aircraft and demonstrations of various military operations. “Maldives was invited to join the Milan exercise but they have declined,” Indian Navy Chief Admiral Sunil Lanba told reporters, and indicated that the country may have taken the decision possibly due to the current situation there. The move also comes at a time when Maldivian president Abdulla Yameen declared an emergency on February 5 following an order by the country's Supreme Court to release a group of Opposition leaders, who had been convicted in widely criticised trials. On February 21, India had reacted strongly over the extension of emergency by a month. And, consequently, Yameen is seen to be taking his country closer to China in return for infrastructure loans under the Belt and Road Initiative (BRI).